Bobby Rice records Holiday song for YOU! We were excited to record organist extrordinaire Bobby Rice on the Hammond B-3 for a new holiday recording of “Let It Snow”! It even has a dancing cat, so you know it’ll be good! 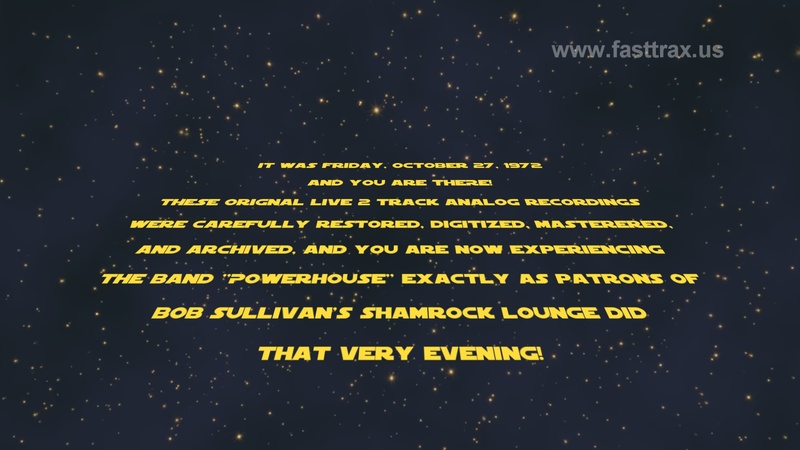 I was recently asked if I could restore an old analog 2 track live recording of the group “Powerhouse” that was recorded at the Shamrock Lounge on Bridge Street in Grand Rapids, Michigan on October 27, 1972. While no pictures exist of the night that we know of, this recording preserves that night in all its glory. What a great band! It was billed as “Powerhouse featuring Nancy Westbrook” and included Nancy Westbrook on vocals, Jeff Beavans on bass and vocals, Gerald Williams on drums and vocals, Wilton “Mache” Machem on tenor sax, Tim Hackenberger on trumpet, Dave Diefendorf on trombone, and John “Johnny Mac” McDonald on guitar and vocals. 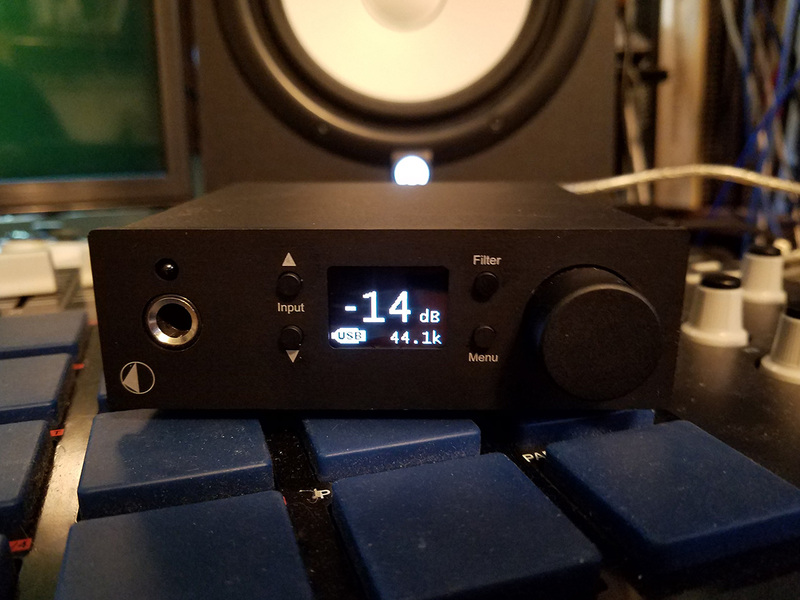 New DAC digital to analog converters feature the latest state of the art DUAL SABRE ESS9038 chips providing amazing audio detail like never before! Demeter and Mullard for the win! What a difference a tube makes! 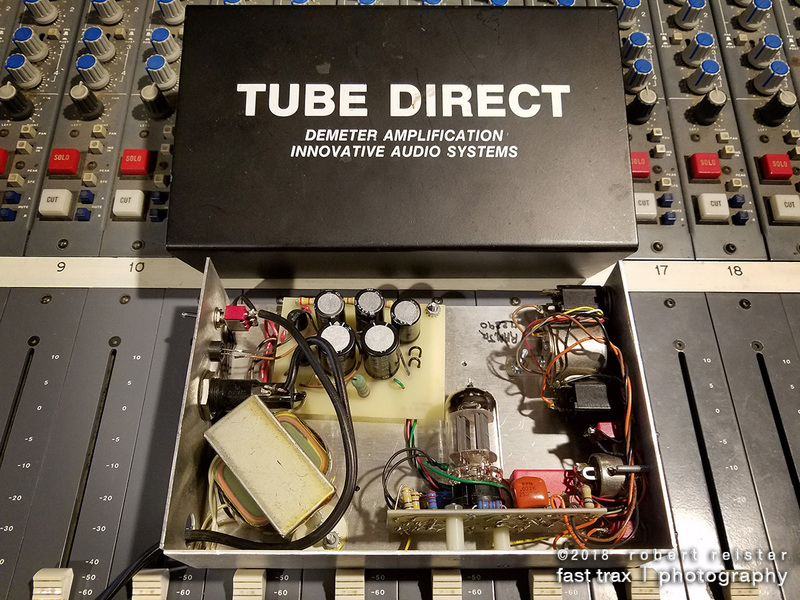 Our original Demeter Tube DI (1990) gets a new Mullard 12AX7 for the win! Testing additional transformers for our legendary Hammond B-3 and 122 Leslie speaker to provide additional direct out options for special effects. Everytime I’m inside the Hammond B-3 organ, I marvel at the incredible electro-mechanical engineering that made all this possible! Purchased three of the new Audio Technica ATM230 mics for tom use. They give our venerable Sennheiser 421’s a run for their money on toms. Big, punchy, warm, and able to isolate well, they are going to find a lot of use here. 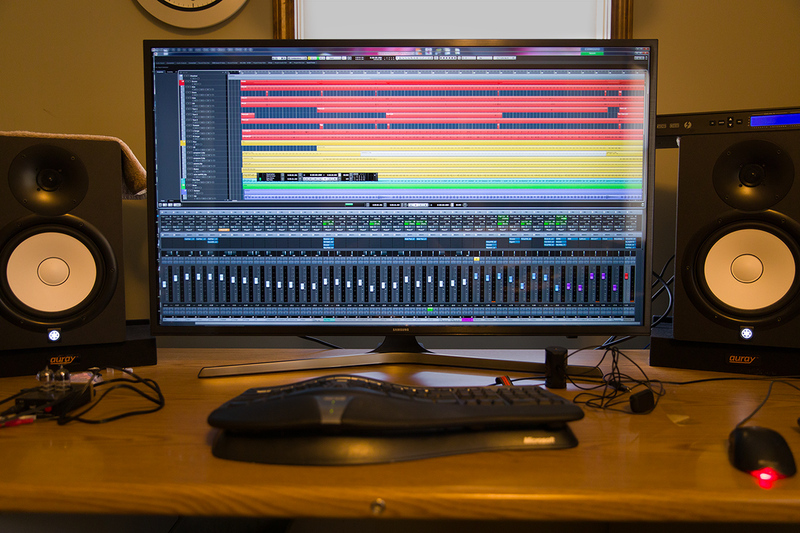 Our editing suite gets a new 43 inch 4K monitor custom color profiled, and the control room gets a new 30 inch custom color profiled monitor. Lots more detail, accuracy, and information for mixing, mastering, and editing client photos and videos! 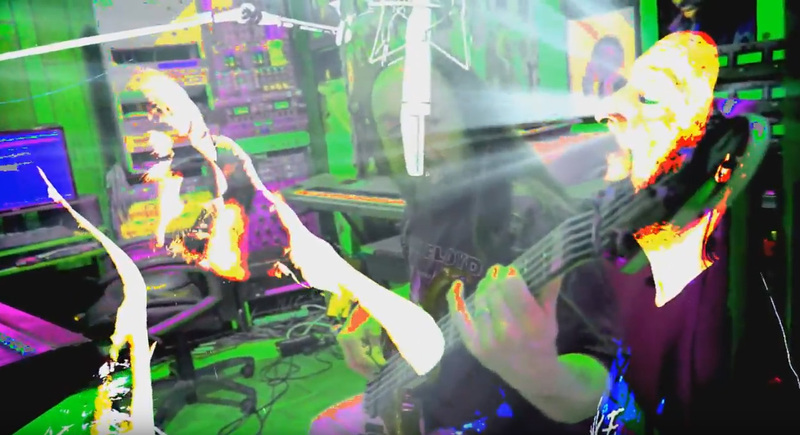 Had a blast recording Michael Morales performing the classic Pink Floyd song “Comfortably Numb” and our cameras were there to capture the entire process! Mic Mod to World Class! 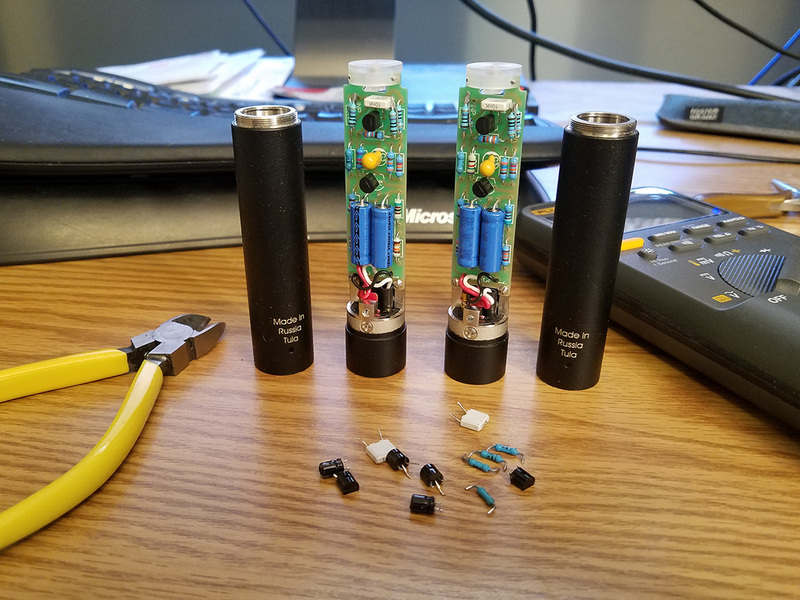 Performed surgery on a pair of Russian mics today. Upgrading some select components made this pair of small diaphram condensers go from really good to world class phenomenal that easily compete with our Neumanns!!! 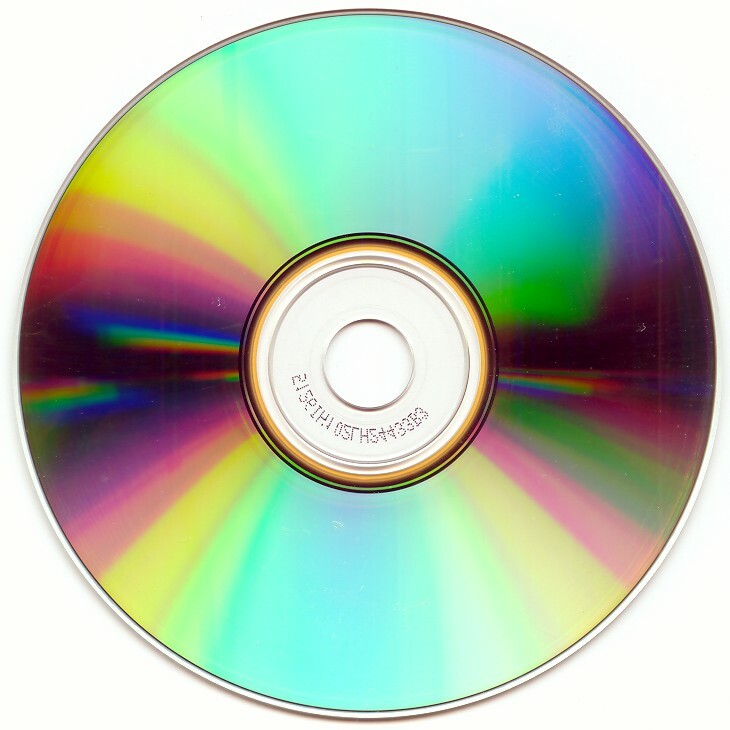 Best Buy will stop selling CDs, and Target wants consignment only as streaming/downloads take over the distribution of music. 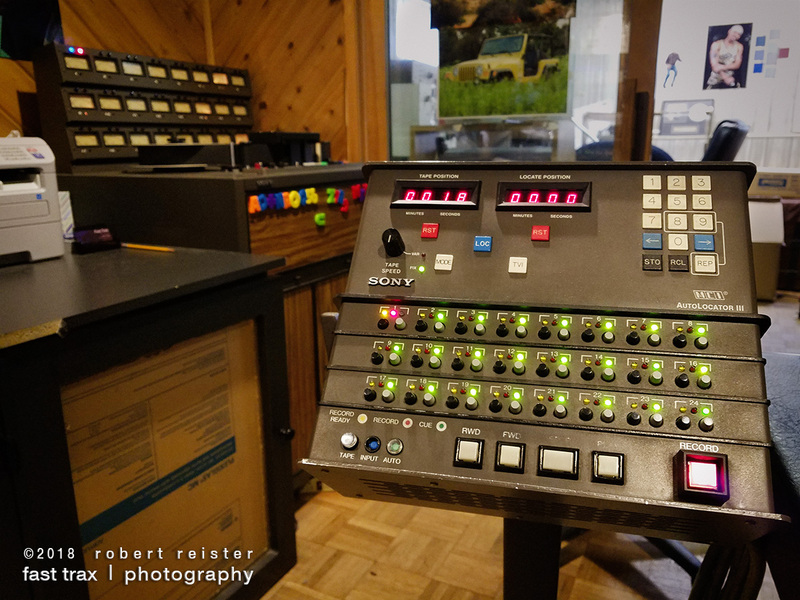 Mixer within a mixer! 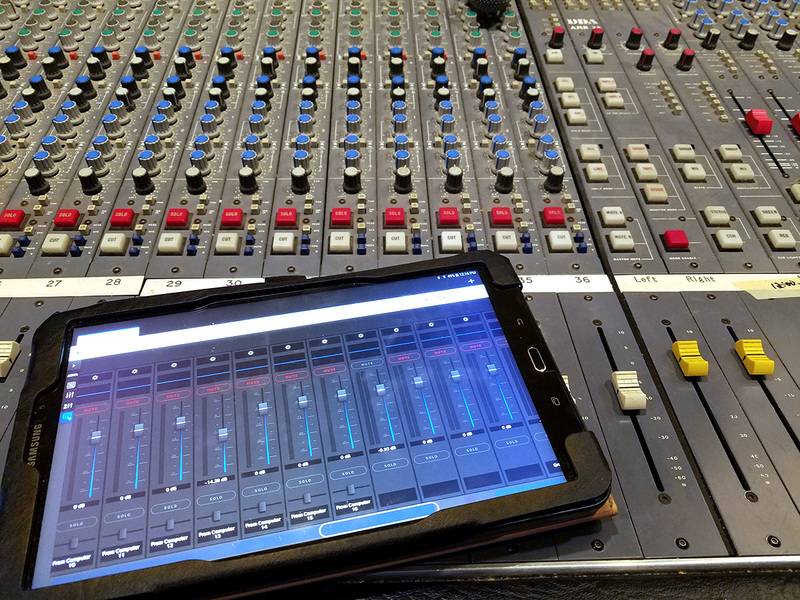 Latest firmware provides touchscreen mixing for our zero latency monitoring AD/DA interfaces. 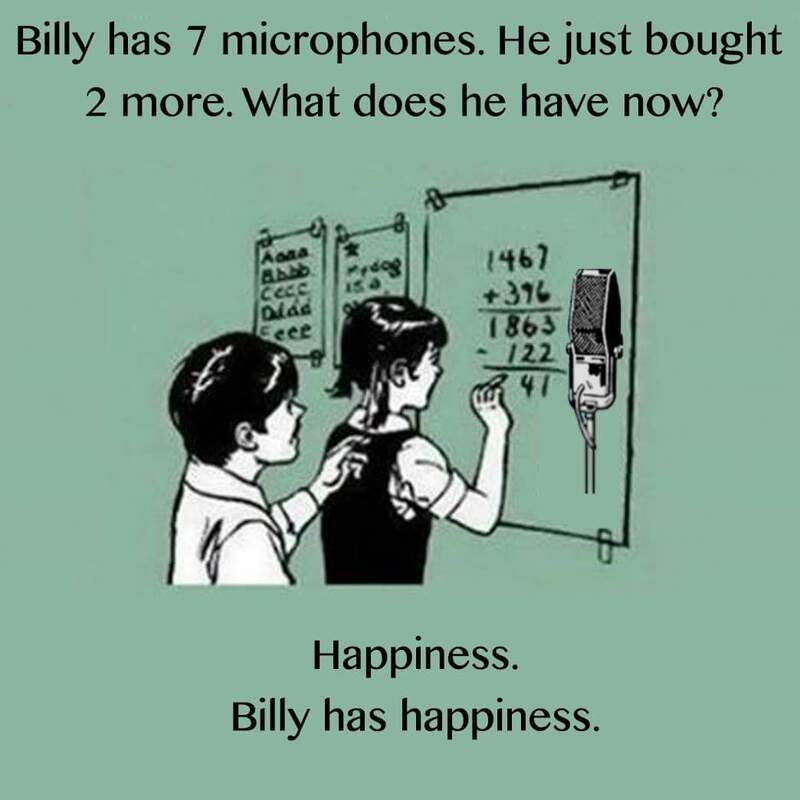 How do you like your audio? Big, fat, and juicy? 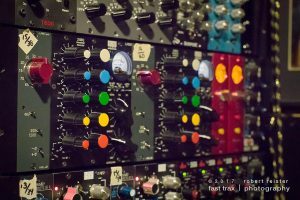 Here are some world class custom made channels that feature Neve 1081 pre-amps, followed by Sontec mastering EQs and finishing up with La3a optical compressors. YUM!!! Recorded the Hope Heralds at Fountain Street Church in Grand Rapids, MI. During my teenage years I had the pleasure of attending many concerts here including The Moody Blues, The Byrds, Steppenwolf, Iron Butterfly, Humble Pie, Spirit, Dave Brubeck, and of course, the inimitable Virgil Fox. 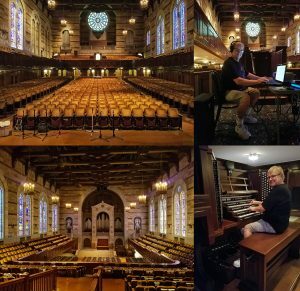 I also had an opportunity to play their 5 manual pipe organ! 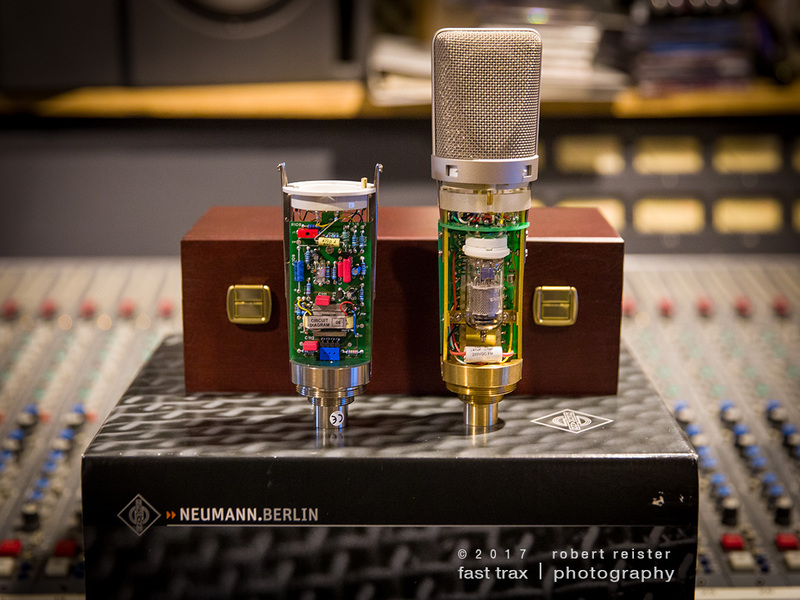 Take a new Neumann U-87ai, replace the FET electronics with an exact recreation of the Neumann U-67 tube electronics, and you end up with a brand new Neumann U-67 tube mic! 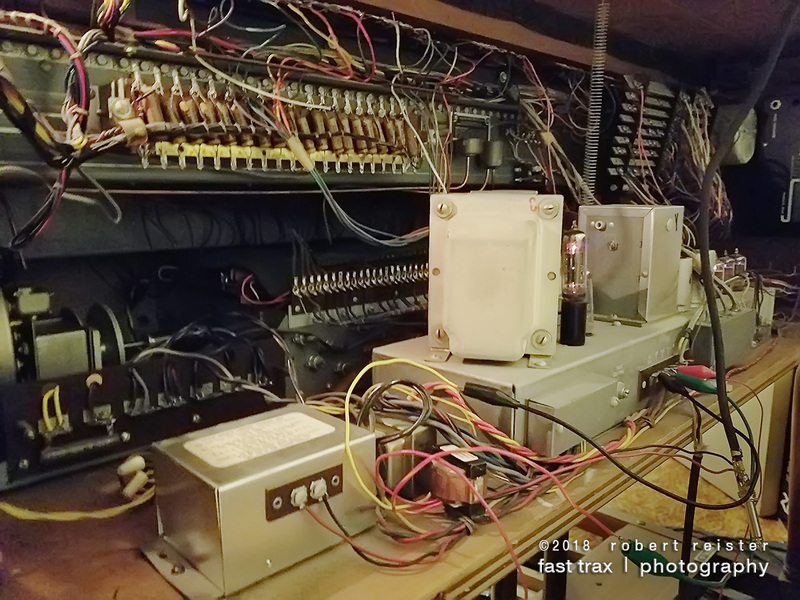 Max Kircher in Austria has produced an exact replica of the famous U-67 electronics that reproduces every detail including the tertiary wound B-12 transformer, EF-86 tube, negative feedback circuit, and even exact placement of every component on the circuit board. 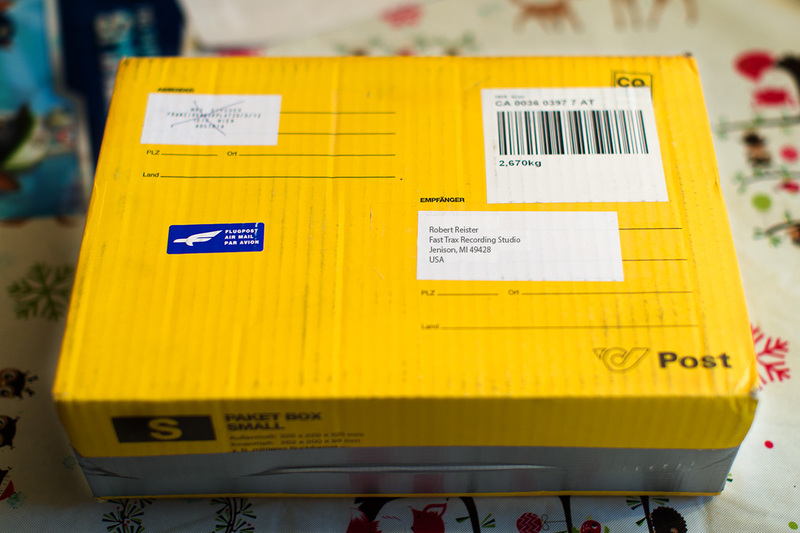 Its as if you opened a time capsule from 1960 containing a brand new Neumann U-67!. Known for its smooth, silky sound, the U-67 was designed to replace the famous U-47 when Neumann was informed by Telefunken that the VF-14 tube would no longer be available. Eventually, the solid state FET U-87 would replace the highly sought after U-67. 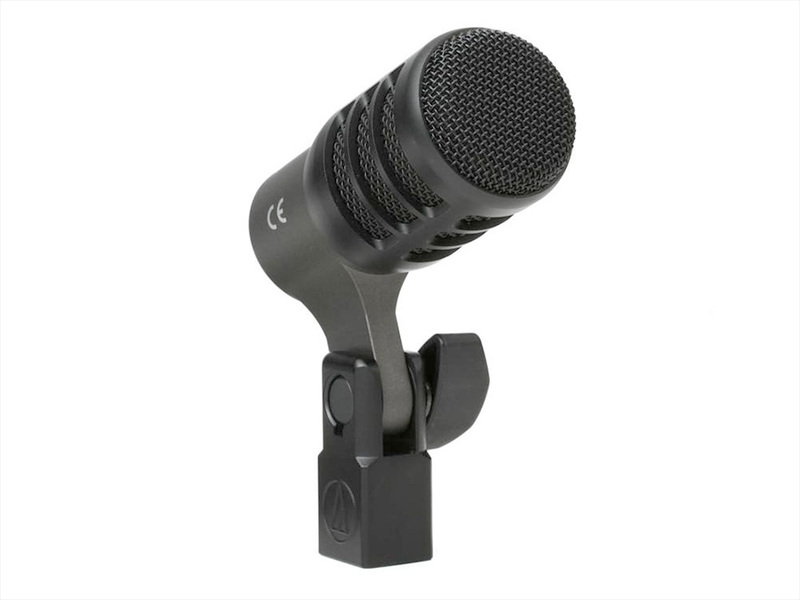 The currently produced Neumann U-87ai along with Max’s electronics make this new U-67 tube mic possible. This Neumann U-67 joins our other vintage tube mics here at Fast Trax providing West Michigan’s most comprehensive vintage tube mic collection. Rarely does the arrival of a package here create this much excitement!!! This one is from Austria!